What happens when someone gets to the end of your marketing funnel? So, if you do one of those things, you’re pretty normal. I’d say 90% or more of online business owners do one of those things. It may seem like a good idea to just let these people ‘cool down’ after going through your marketing funnel. And if you see your marketing funnel as ONLY a sales vehicle, this makes sense — although, at that point, I’d call it a sales funnel instead of a marketing funnel. You may feel like you gave them everything you could to make a sale, yet this person said no, so you don’t want to bug them. But what if you could be a little more ready to serve instead of just sell? What if someone got to the end of your marketing funnel and felt like what you had to offer was interesting, but for whatever reason, RIGHT NOW wasn’t the time? Or what if they just needed a little more from you? An example? A webinar? A client testimonial? Even just asking them what they’d like? You attract in new people. They go through your marketing funnel. You give them the best content and experience you can. They buy or don’t buy. For those who buy, you engage further. For those who don’t buy… you’re done. I want to encourage you to think a little bigger, think longer term about the person behind the email address. 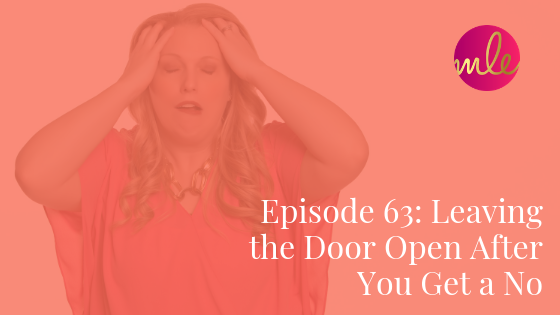 Instead of just going from hot-and-heavy in selling your stuff, what if you could open the door to a more personalized conversation? Instead of going from your marketing funnel that was all about ‘buy now,’ what if you asked a quick question? There is absolutely nothing wrong with selling in your marketing funnel. In fact, I highly encourage it! But the truth is that only a small percentage of your audience will buy at any time — and that’s true of even the top marketers. The reasons people don’t buy may or may not have ANYTHING to do with you, the quality of your offer, or even the price. So, what CAN you do to keep the door open to future possibilities? 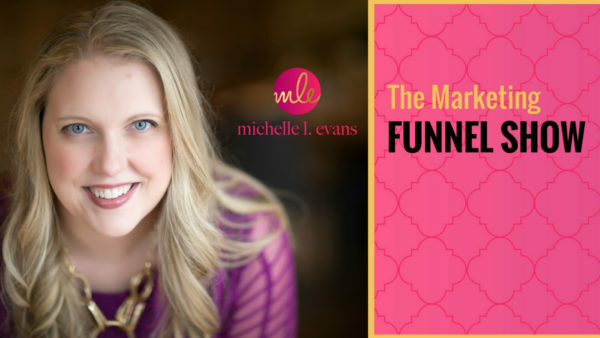 When someone goes through my marketing funnel to buy my course Build Your Funnel Boot camp, at the end, I send an email with the subject line: ‘This is awkward.’ It gets a GREAT response and really helps me understand why people didn’t buy my course. In the email, I ask them if they wouldn’t mind sharing why they chose not to buy. I share with them that understanding their reasons helps me create better offers and content that will serve them better in the future and that I truly appreciate them taking the time to answer. By inviting feedback, I’m letting people know that the door is open. I’m not done with the conversation, and I hope they aren’t either. I have gotten SO MUCH good feedback from this email — things I NEVER would have thought about and insights into my audience I couldn’t have gotten any other way. First, I do an email to dive deeper into what my audience is looking for. I’ve set up a super simple survey in Google Forms, and I ask people who decided not to join my webinar to hop on over and let me know what they WERE looking for. Then, I follow it up with an email to invite people to listen to my podcast. Do a little brainstorming session. Set your timer for 10 minutes and brainstorm how you could keep the door open for people in your audience. Does it involve a survey? Do you have some weekly content for them to consume? Is it jumping into your free Facebook group? Watching videos you do? Something else?